FJ Stewart is a retired business owner of a water-well drilling company where he traveled all over the country divining and drilling the purest water. 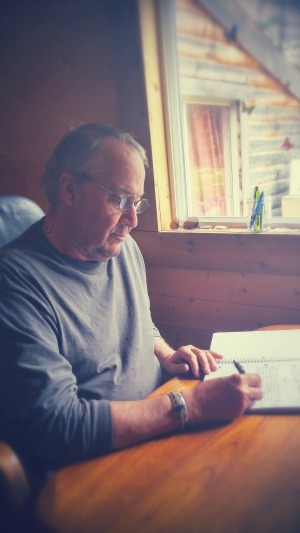 He is an impressionist painter of wildlife, portraiture and landscapes, and has been writing since he was young. 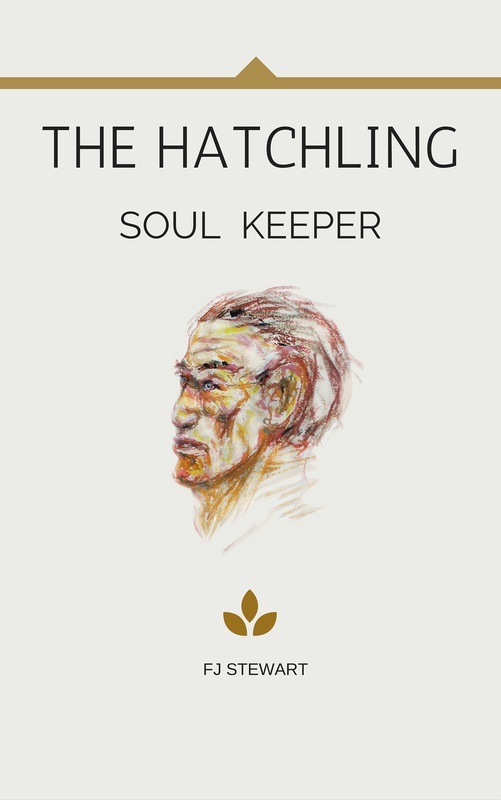 He now introduces his first full-length epic novel, The Hatchling, Soul Keeper. He lives in a small cabin, engulfed by the forest in the West Kettle Valley in the mountains of British Columbia, Canada. With his wife and pets, he enjoys the peace and solitude that surrounds him. It is two thousand years into the future after the Great Change, when the planet turned over, and the human species is down to about eleven million worldwide. Magic has reentered this world, and the environment is pristine. And so it is, on a calm green sea sails the Taraway, an old two-piston wreck, carrying its crew of fishermen. The crew notices a strange thing: a damaged vessel surging through the water embroiled in its own personal storm, with a ravaged woman tied to the mast. She is stranded on the ocean terribly weakened, with a broken ship and no retinue. The kind captain and his crew take her in and become intoxicated by her beauty. But she has guiled the crew into assisting her. In fact she is the queen of a highly destructive alien race called the Voth. The queen is on a desperate mission across the world to save her race – a mission that threatens to destroy all of humanity, putting an end to earth's peaceful existence. Key to her success is her unborn child, who soon hatches from her body in a cave. This Hatchling holds great powers, and his sole purpose is to embark on the important quest that will bring full power back to the Voth. Yet as the Hatchling grows and experiences the world around him, he discovers that there is much more to his new life than what his mother had planned for him. And as his eyes open to the possibilities that lay before him, he becomes more powerful, and more dangerous, than anyone could have ever foreseen.